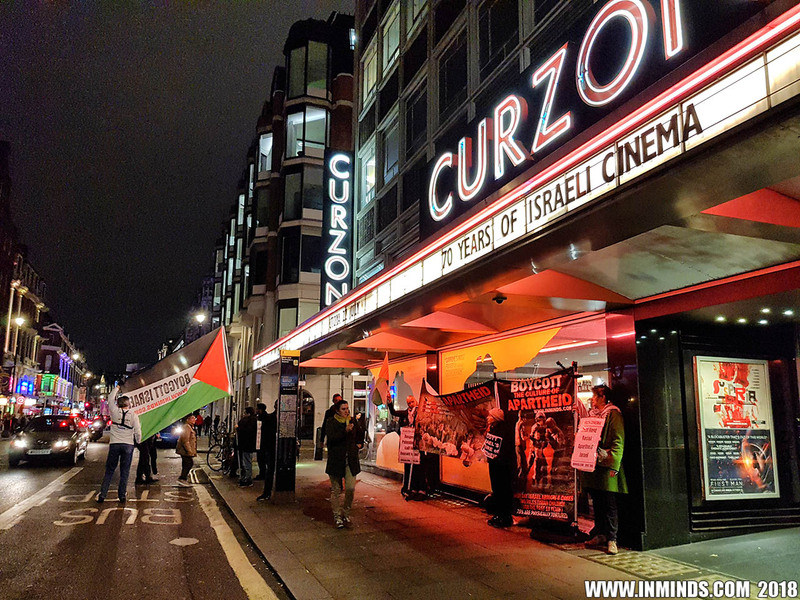 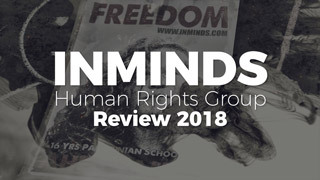 On Friday 25th October 2018, Inminds human rights group along with the Islamic Human Rights Commission protested against the Israeli Embassy's '70 years of Israel cinema' festival hosted by the Curzon Cinema Soho in London. 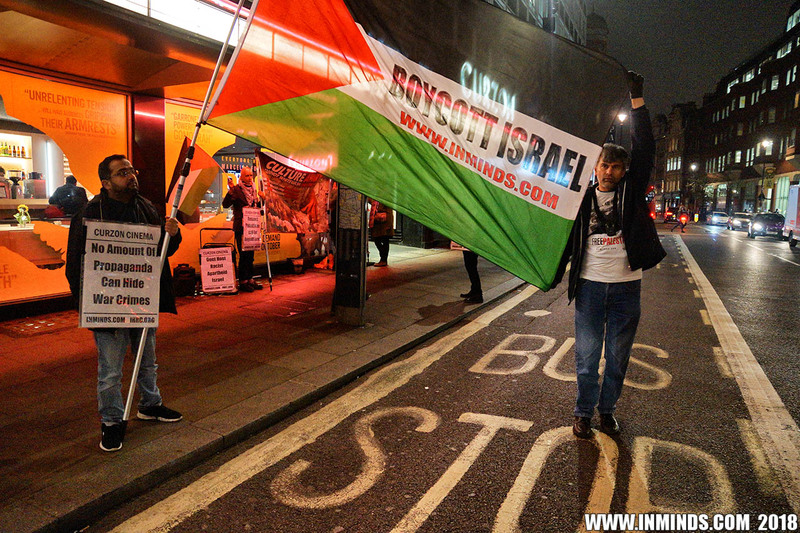 Inminds chair Abbas Ali said "We will not allow this Israeli government propaganda fest to whitewash 70 years of ethnic cleansing, dispossession and brutal colonisation of Palestine, under the facade of culture and cinema, to go unchallenged. 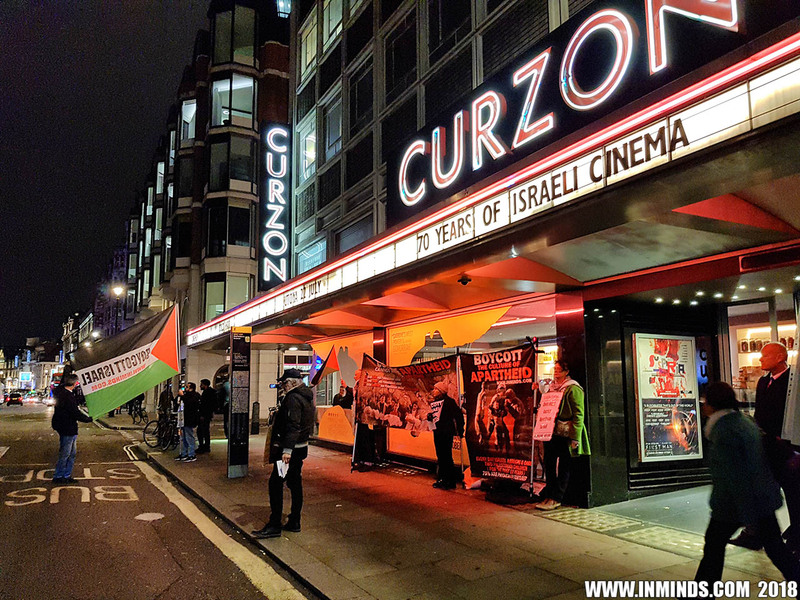 We are here to ask the Curzon, have they no shame in hosting this festival whilst at the same time, in Palestine, Israel is shooting dead photojournalists and film makers, imprisoning them, and destroying media and film facilities?" 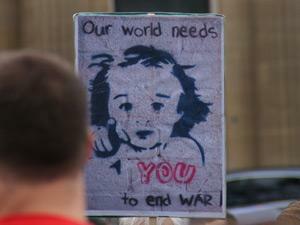 The protest received a very warm response from the public. 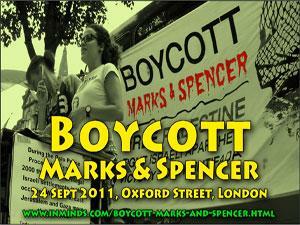 One zionist pair did try to disrupt the protest - they were unsuccessful and the police led the trouble makers away. 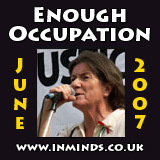 The protest succeeded on exposing Israeli culture-washing of its apartheid war crimes. 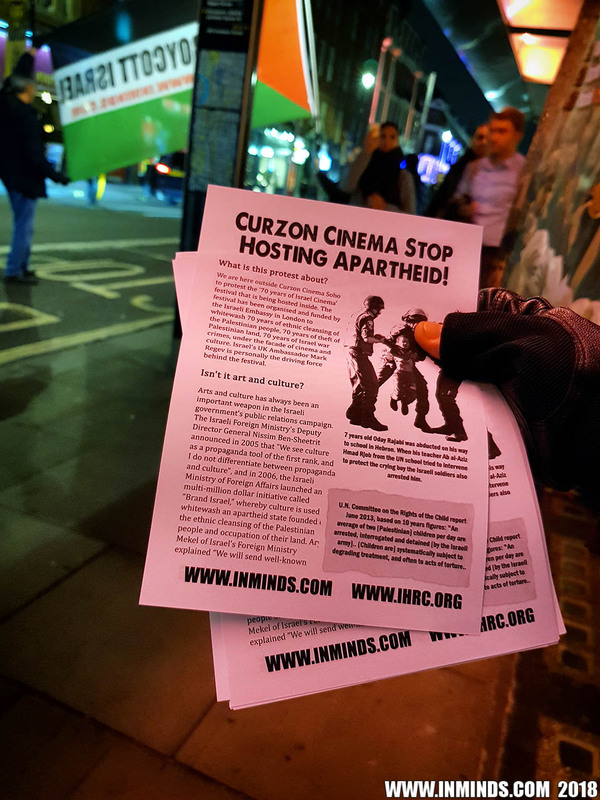 We are here outside Curzon Cinema Soho to protest the '70 years of Israel Cinema' festival that is being hosted inside. 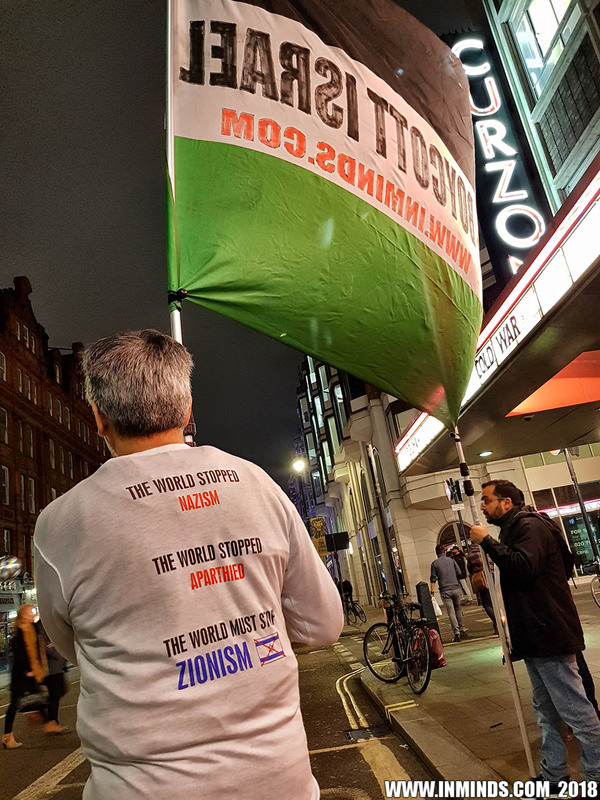 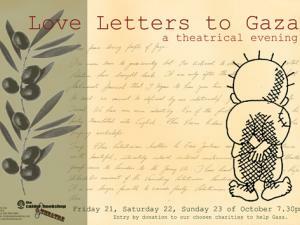 The festival has been organised and funded by the Israeli Embassy in London to whitewash 70 years of ethnic cleansing of the Palestinian people,70 years of theft of Palestinian land, 70 years of Israel war crimes, under the facade of cinema and culture. 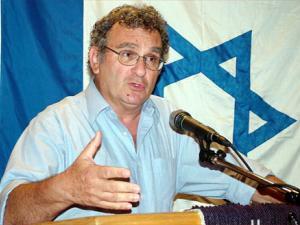 Israel's UK Ambassador Mark Regev is personally the driving force behind the festival. 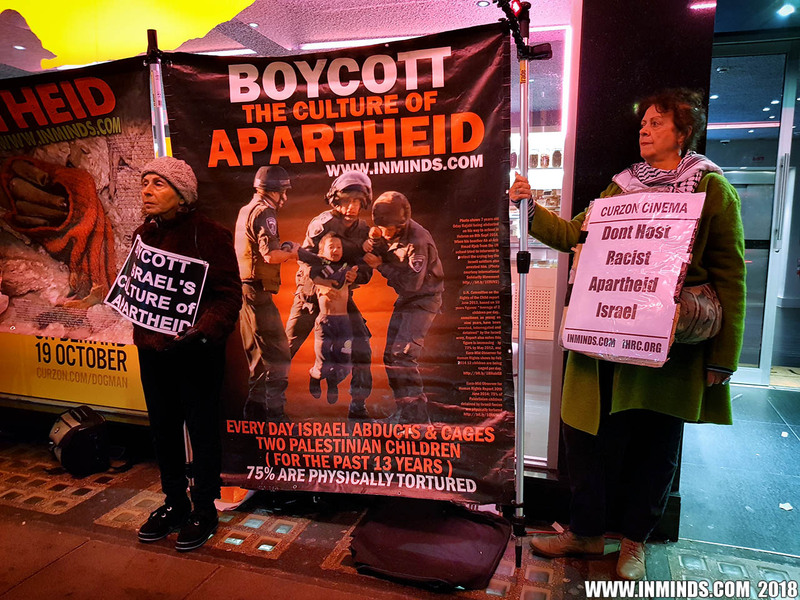 The '70 years of Israel Cinema' festival has nothing to do with culture, and everything to do with this ‘Brand Israel’ project to whitewash Israeli war crimes. 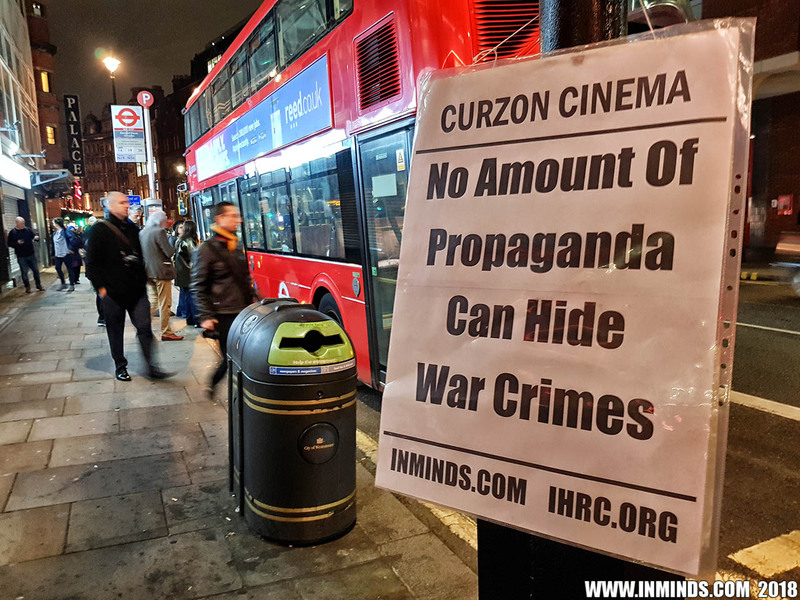 Tonight they are showing a 'comedy' about the Israeli military, the same military that has killed over 40 children since March 30th. 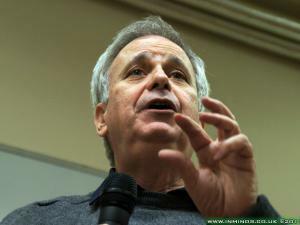 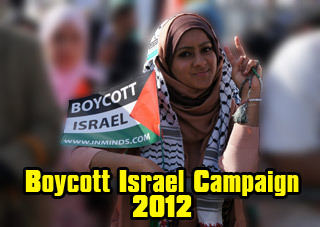 In April 2004 Palestinian civil society called for a cultural boycott of Israel as a peaceful means to pressure Israel to comply with international law. 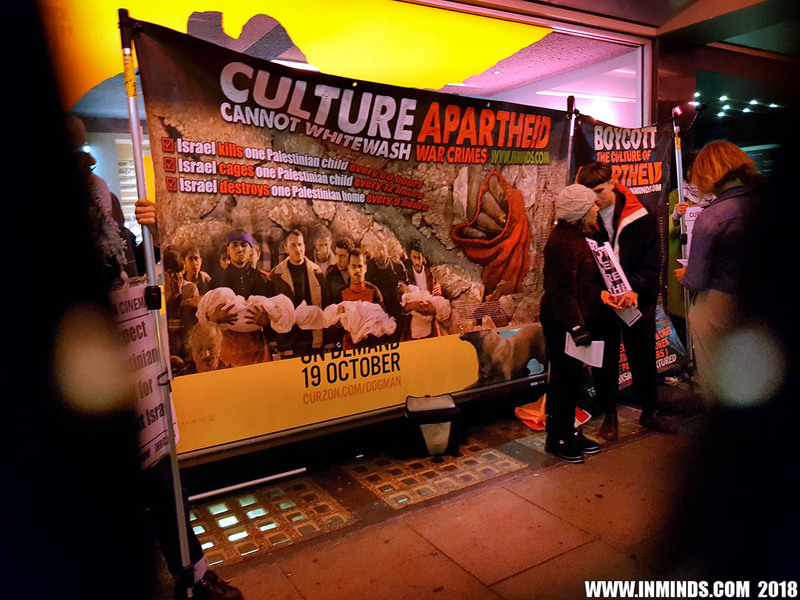 This has been very successful with artists refusing on principle to perform for apartheid Israel and venues refusing to host Israeli government funded cultural events. 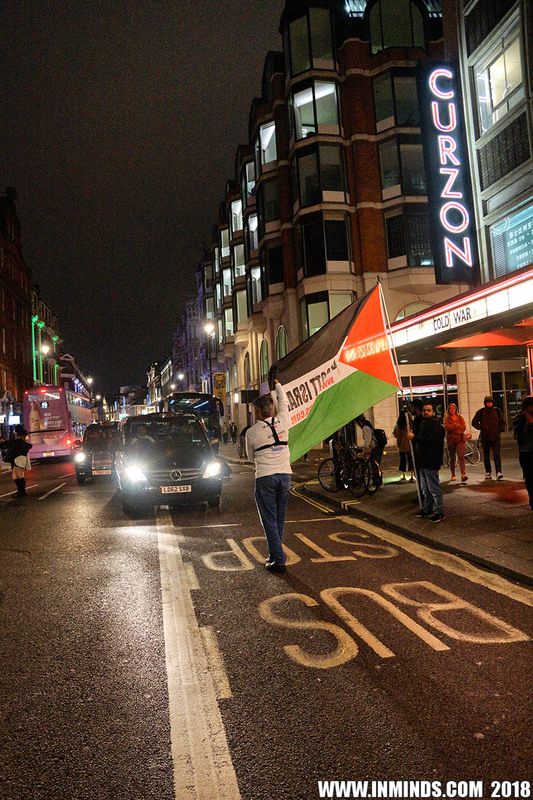 But shamefully Curzon Cinema has ignored this call and decided to host the apartheid state. 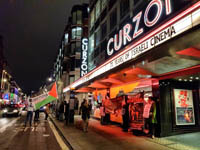 We want to ask the Curzon why are they hosting an Israeli Embassy propaganda fest, when at the same time Israel is deliberately shooting and killing Palestinian photo and film journalists, imprisoning them, and destroying Palestinian media and film facilities. 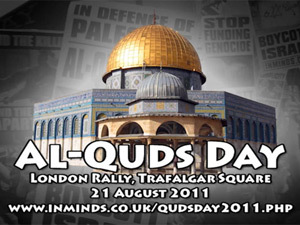 These crimes are currently under investigation by the International Criminal Court. 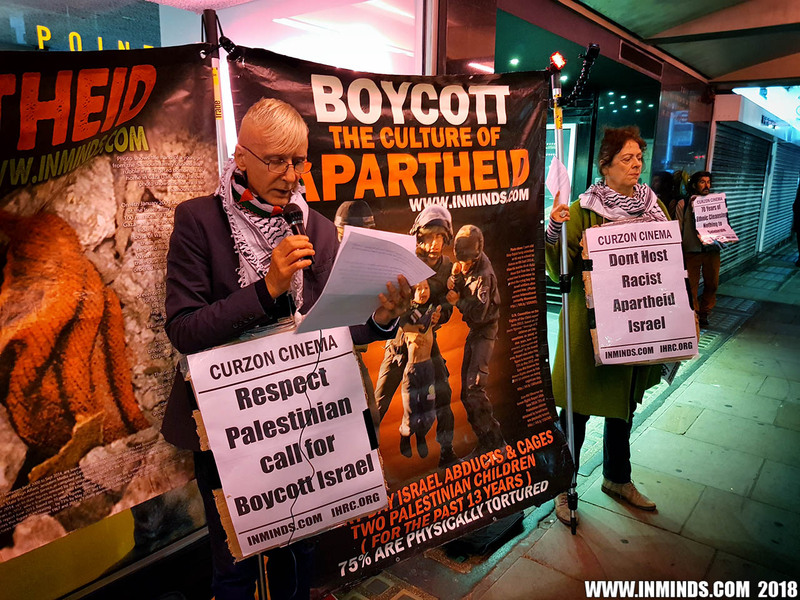 We ask the Curzon Cinema to make a stand against apartheid, against racism, against oppression, to stand on the right side of history and respect the Palestinian call for a cultural boycott of apartheid Israel.